Tuition Information: Undergraduate residents $12,634, nonresidents $25,246; graduate residents $11,980, nonresidents $25,246 for the 2011 – 2012 school year. These amounts do not include fees of approximately $3,310 per year. The University of Illinois at Urbana-Champaign offers a wide range of studio arts options, including elective courses in Japanese art and culture. Graphic Design students focus on design history, typography, image making, sequential design, photography, time arts and drawing. Internships are available. New Media students complete coursework in image practice, interactivity, time arts, methods and criticism, sound art, mobile mapping, and drawing. Students create a portfolio and work on independent projects. Master's degree candidates in Art and Design who choose to concentrate in Graphic Design complete a research project, thesis and exhibition. The New Media concentration in the M. F. A. Studio program uses an interdisciplinary approach; painting, sculpture and new media coursework are all part of the student experience. Students also create an exhibition. A portfolio is required for application to the B. F. A. and M. F. A. programs. The University of Illinois at Urbana-Champaign offers scholarships as well as graduate fellowships and teaching assistantships. 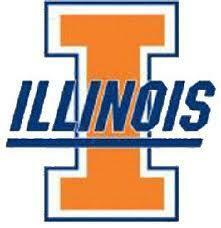 Illinois residents should also apply for state-sponsored scholarships. Entering freshmen and transfer students receive a four-year tuition cost guarantee; their tuition rates will not increase during that period.